Healthy Gen is proud to announce a deepening of our long-standing partnership with Pierce County Accountable Community of Health (Pierce County ACH) through a shared relationship with Dr. Kathy Burgoyne. Beginning March 19, Dr. Burgoyne, Healthy Gen’s senior director of applied research, will also serve as Pierce County ACH’s senior advisor for community engagement and linkages. For more than 10 years, Healthy Gen has worked in Pierce County to develop and support the community health worker (CHW) networks and instill community engagement in policy and system reforms. Healthy Gen and Pierce County ACH will continue to collaborate with and learn from each other, with Pierce County ACH carrying out deep regional work and Healthy Gen enacting statewide efforts. At Pierce County ACH, Dr. Burgoyne will work with staff and key partners to integrate health into Pierce County’s housing, social services, education, employment, public safety and economic development areas. She will work closely with Pierce County ACH team members who are responsible for community engagement, community-based care coordination, community-based policy and system changes, workforce development and partnership development to create cross-sector partnerships and initiatives to spearhead innovative and effective approaches to promoting health and health equity. At Healthy Gen, Dr. Burgoyne will continue to support the development and implementation of Pathways community-based care coordination system and work to strengthen the CHW workforce. 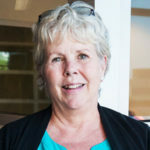 By working closely with Healthy Gen staff, the six Accountable Communities of Health that have adopted the Pathways model, Care Coordination Systems and the Pathways Community HUB Institute, her work will ensure the successful implementation of Pathways Community HUBs across the state of Washington. In addition, Dr. Burgoyne will remain closely tied with Healthy Gen staff and key partners to ensure support for the unique role of community health workers, as the organization continues its mission of transforming systems, policies, and practices to create equitable health outcomes and enduring health equity.